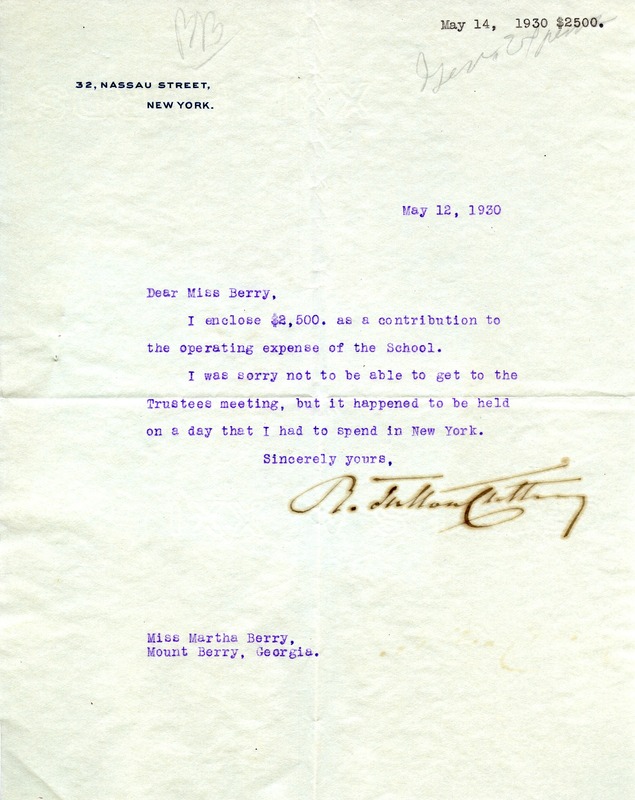 A large contribution is sent to Berry. Mr. R. Fulton Cutting, “Donation from Mr. Cutting to Martha Berry.” Martha Berry Digital Archive. Eds. Schlitz, Stephanie A., Angela McCavera, et al. Mount Berry: Berry College, 2013. accessed April 26, 2019, https://mbda.berry.edu/items/show/12259.